Down here in Melbourne, once again rated the World’s Most Liveable City, we really don’t have that much to complain about. Indeed, for those of morose inclination, the opportunities to indulge the dark side are few. You might, for example, take a tour of the condemned aisle at the Lost Dogs’ Home or, the easier alternative, you could pick up a copy of The Age and observe another, thoroughly mangy specimen also living on borrowed time. The City on the Bay is home to roughly four million souls, of which just 140,000 buy our local Fairfax rag on a typical weekday. Twenty years ago, when Melbourne’s population was half what it is today, the paper sold almost twice that number. And just lately, as the latest audit numbers illustrate, the Himalayan descent has become a near-vertical plunge, with the paper shedding some 16% of its circulation in the last 12 months alone. According to Fairfax chairman Roger Corbett, there is no need to fret, as his company is making a wonderful transition to the Digital Age and all his editors are first-rate news professionals who know their stuff back-to-front. But even if Corbett recognised them to be other than top-shelf newsmen and women, there is nothing he can do to lift their daily offerings. As he told Lateline’s Emma Alberici, he would never dream of interfering with his editors’ decisions because that would compromise their independence. Funny attitude, that. As the former head of Woolworths, did Corbett indulge store managers who filled the shelves with products few wished to buy or which disgusted and alienated potential customers? Of course not, but apparently the news business – the Fairfax facsimile of it, at any rate — is different. The outcome of the weekend’s election did not sit well with Daily Life columnist and social commentator Clementine Ford. 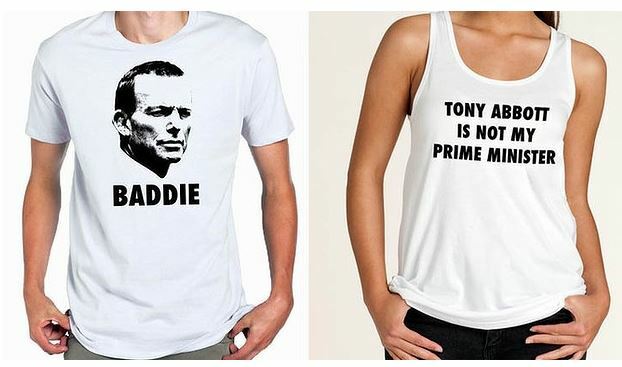 As an antidote to the crushing reality of Post-Abbott world she’s created some cathartic t-shirts with slogans that include (NSFW) ‘F**k Abbott’ and (SFW) ‘Abbott is not my Prime Minister’ that can bought online. 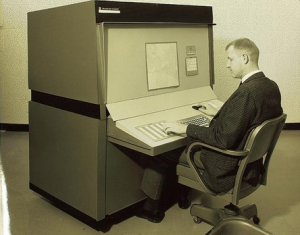 When old journos gather for drinks here in Melbourne (the young ones go to the gym or admire each other’s bicycle seats) the topic of the incredible shrinking Age comes up regularly. Lousy headlines, amateur page design, poor spelling, addled news sense, opinion masquerading as reporting, editors who excuse incompetence rather than eradicate it – all get their mentions. These are the basic craft skills which any paper with a survival instinct aims to honour but which The Age abandoned long ago. In place of basic journalistic competence, Melbournians are harangued, hectored or sneered at if they live in unfashionable suburbs. Now, courtesy of Daily Life, they are being encouraged to further coarsen public life by getting about in another of the T-shirts the paper is promoting — ‘F**k Abbott’ — which Daily Life wants its readers to buy and, presumably, wear on the streets of our city. Corbett isn’t joking when he vows never to interfere in his publications’ affairs. If he can tolerate the promotion of F*** Abbott T-shirts without comment, there is no outrage he will not accept from his underlings. At those gatherings of ink-stained greybeards a popular view used to be that a few decent editors could still turn The Age around, save it from its newsroom’s worst inclinations. The move to a tabloid format earlier this year should have been the moment for changing course, but that opportunity has now been squandered. You no longer hear a word of hope for The Age and its future because, quite frankly, the last hope of revival is lost. All The Age is fit for these days is its own wake. Those few who still buy and respect it will probably shed genuine tears. Let us hope the ink doesn’t run on their ‘F*** Abbott’ T-shirts.